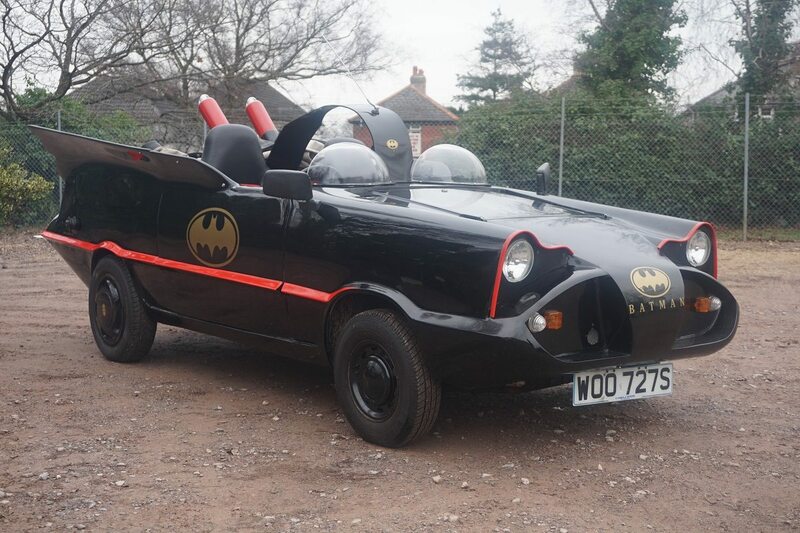 To be auctioned 27/01/2017 – Reliant Kitten “Batmobile”! This car was first registered on 08-12-1977 as a Reliant Kitten DL. It was acquired by the Bournemouth Carnival Band on 08-05-1989 and given the makeover during the year by Elford Motors of Tuckton, Bournemouth to become the Batmobile. Olds motors of Dorchester refurbished the bodywork (and partially overhauled it) in the late 1990’s. Apart from one or two changes through wear and tear the engine is a reliant original. In August 2013 the head was skimmed and new head set fitted along with a full service. In 2014 the Bournemouth gearbox centre built a brand new box and a new clutch was installed during reassembly. Extensive repairs and replacements(mostly minor) have been carried out of the past few years including a new exhaust, radiator and various steering parts, as the invoices in the file show. The vehicle has had very little use since its acquisition and has been garaged and declared off the road on many occasions, mainly due to unavailability of drivers.